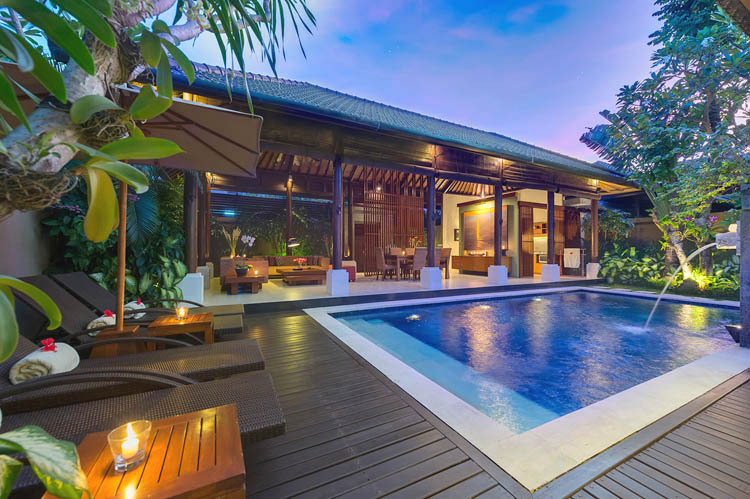 The magnificent villa Purri temple is located not so far of Batu Bolong beach. 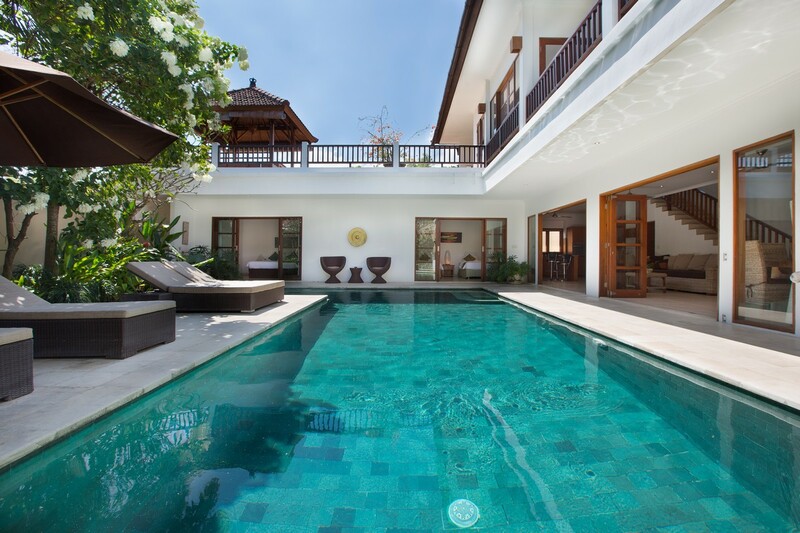 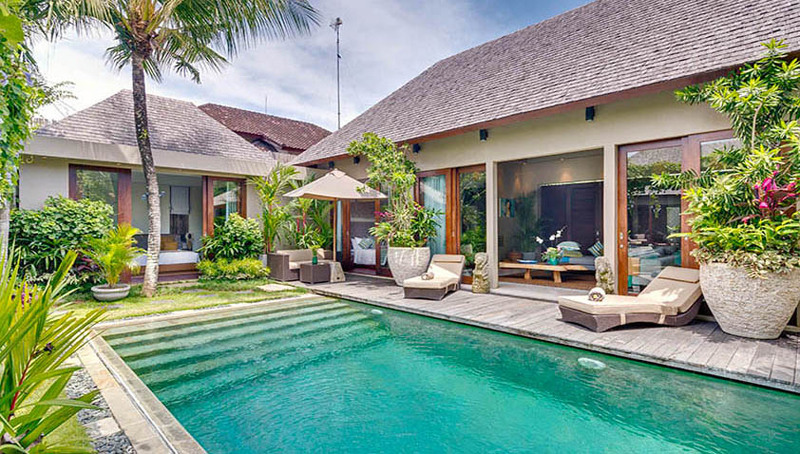 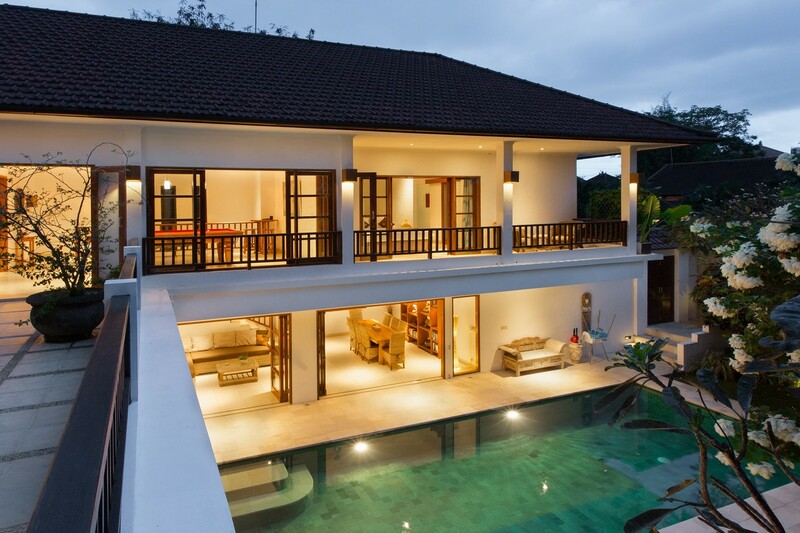 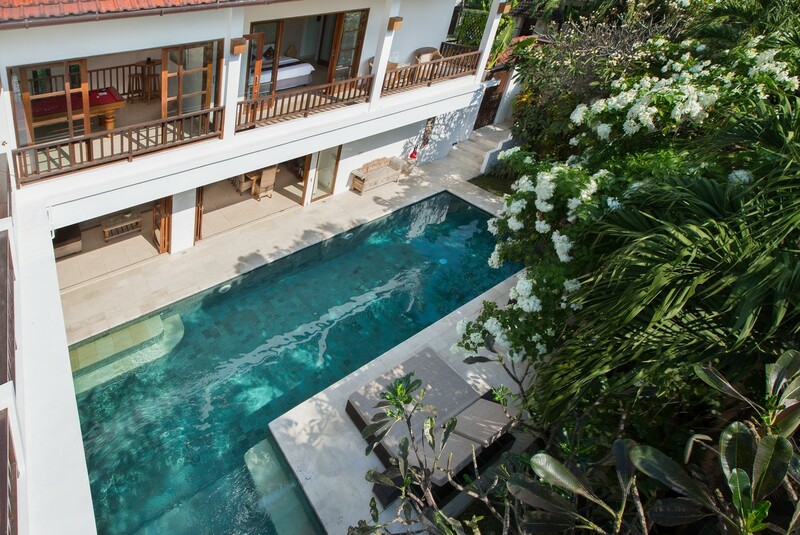 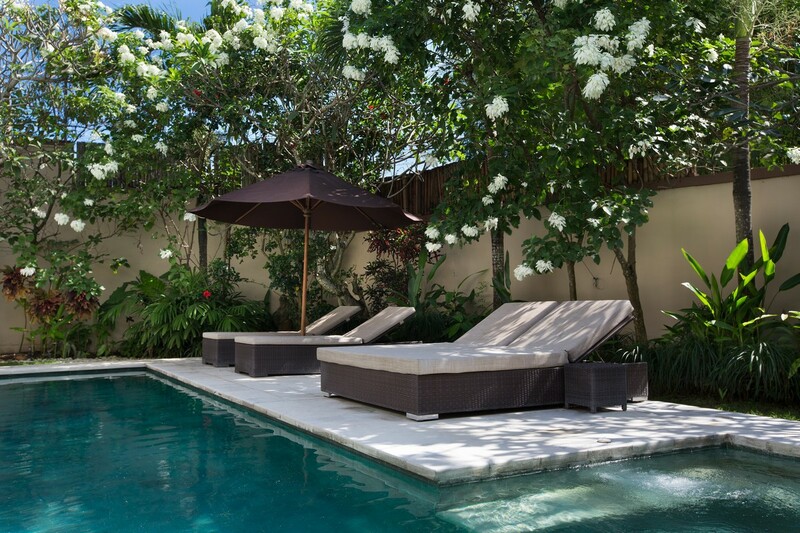 This house will allow you to rest in the calm of Bali. 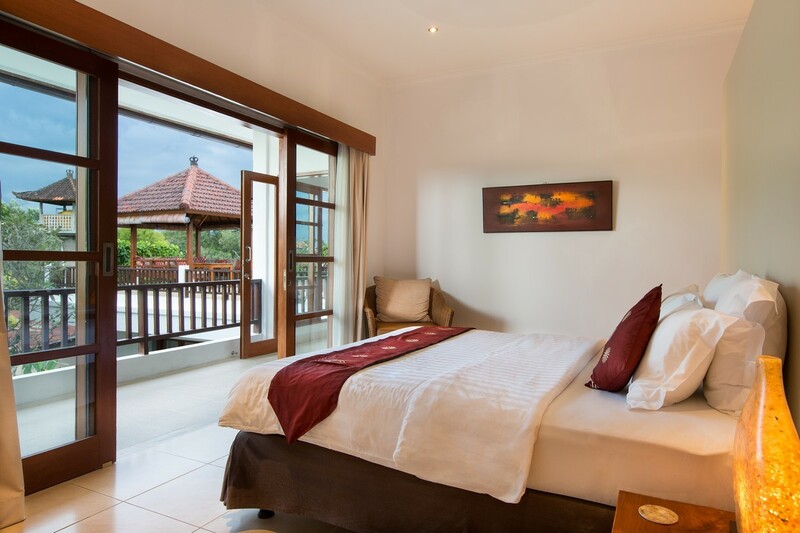 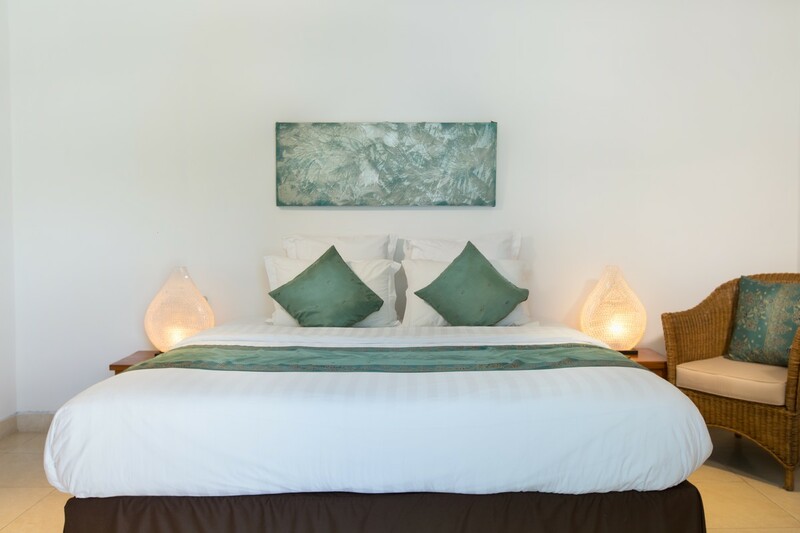 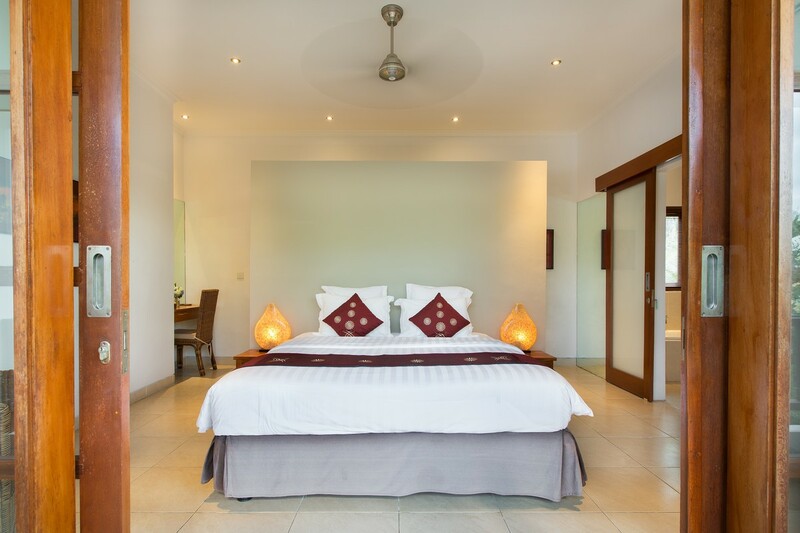 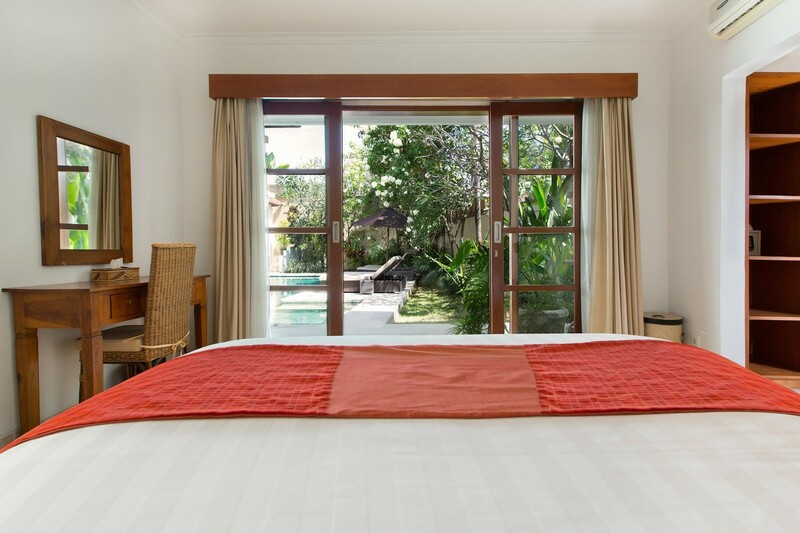 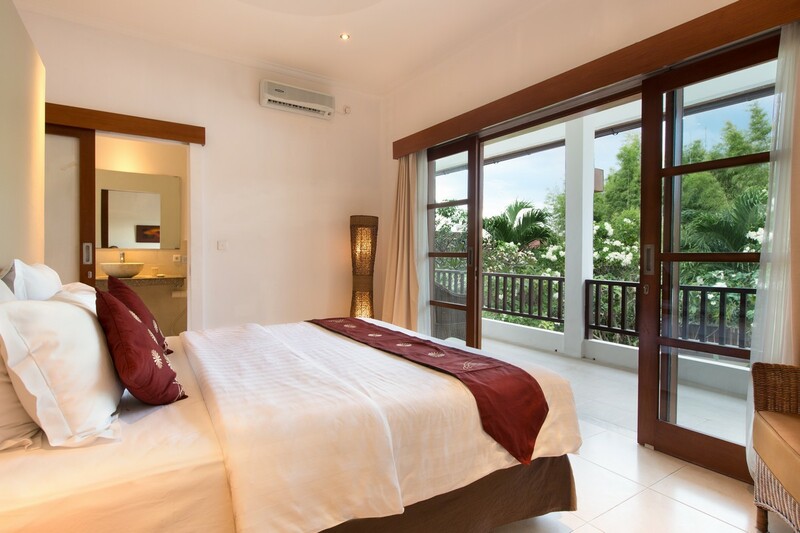 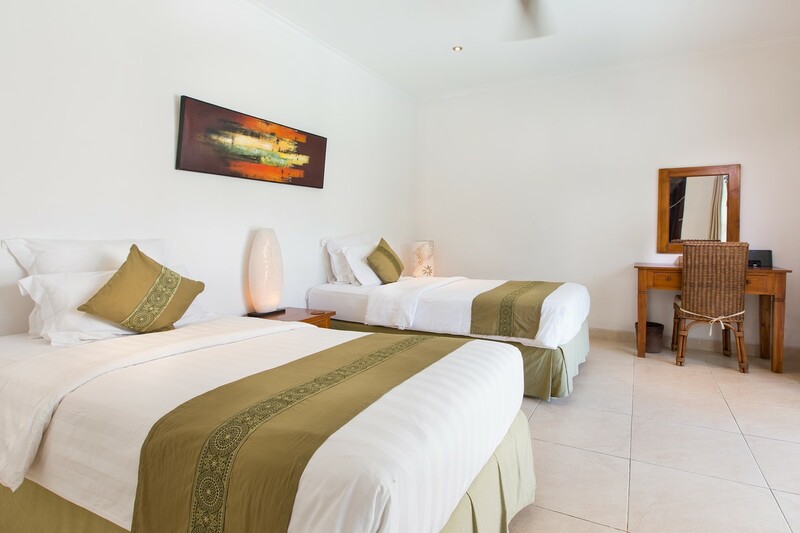 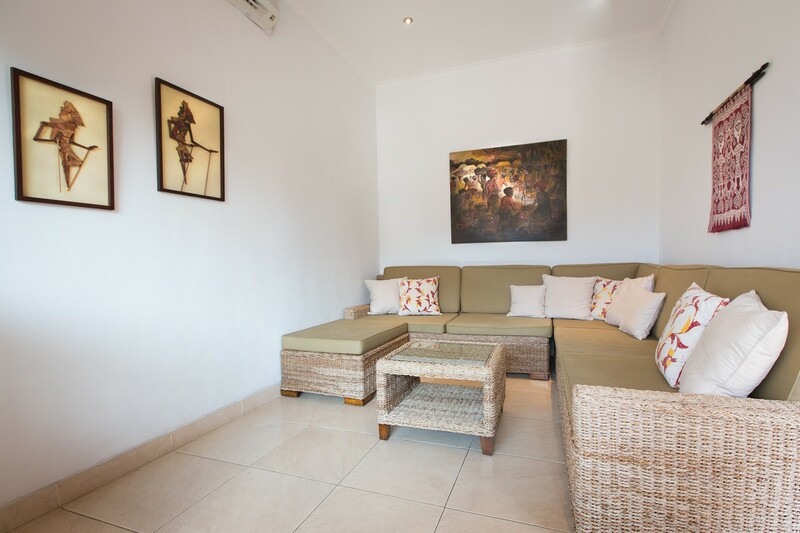 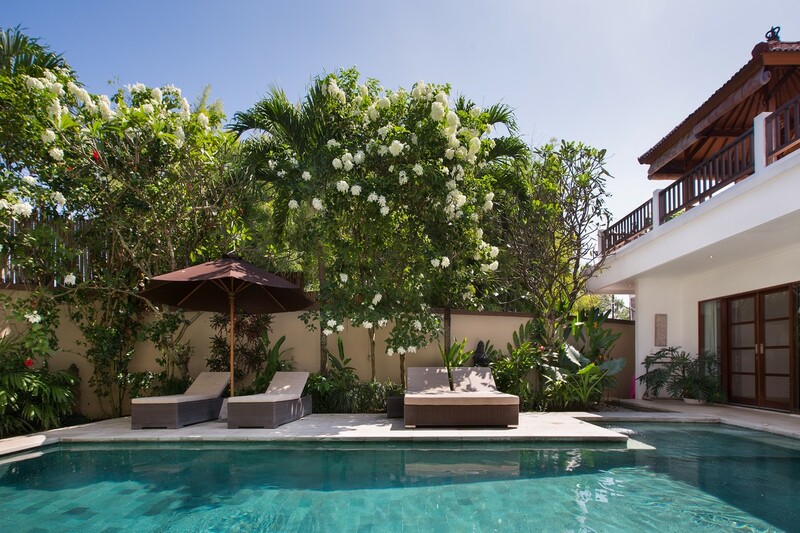 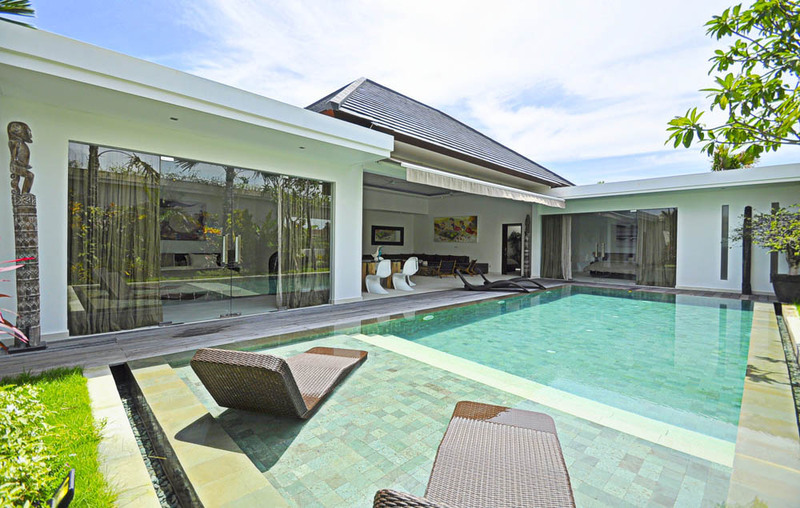 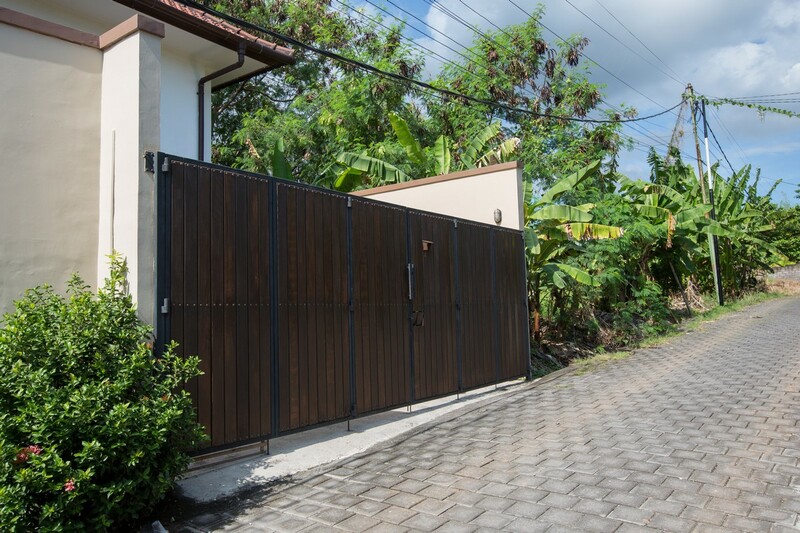 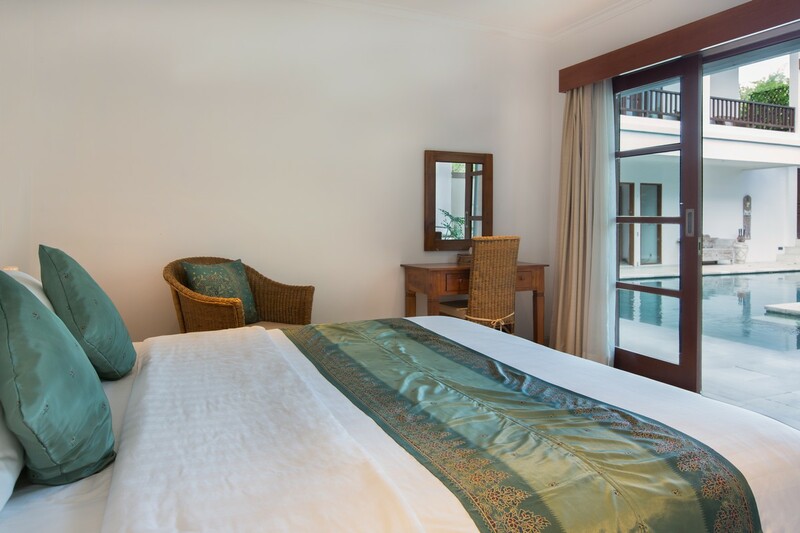 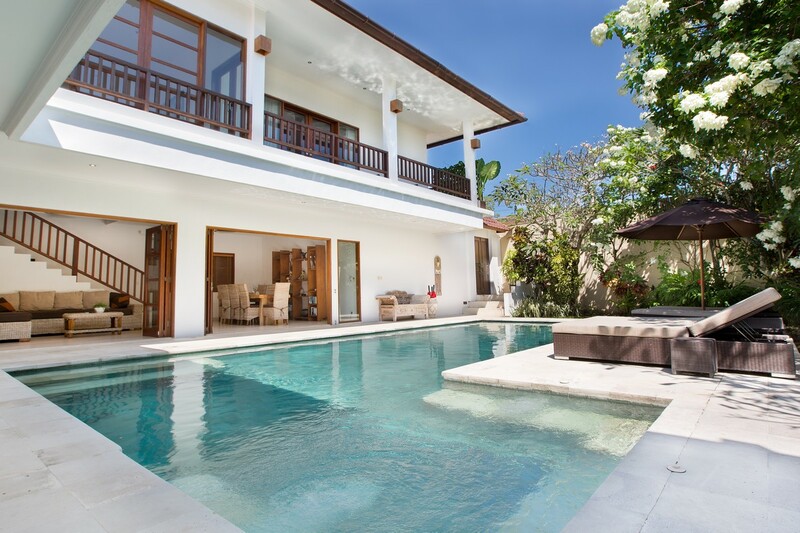 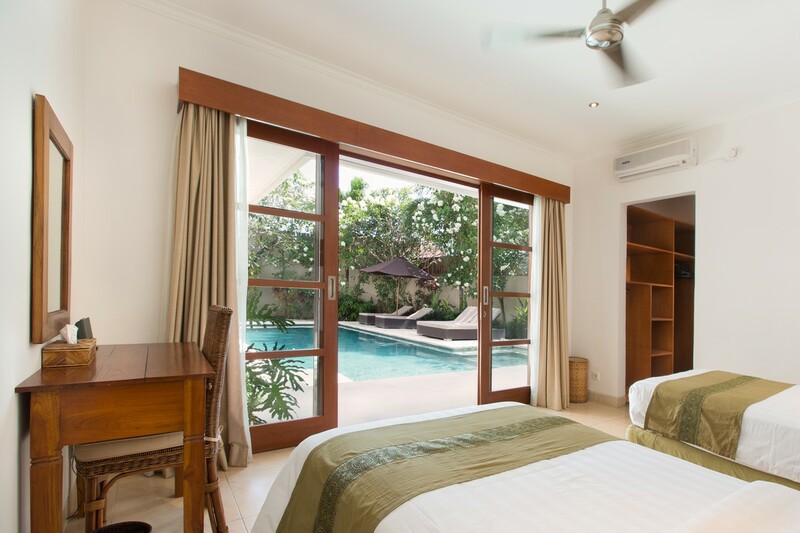 The villa is composed of 3 bedrooms whose one bedroom with 2 singles beds and two room with queen size. 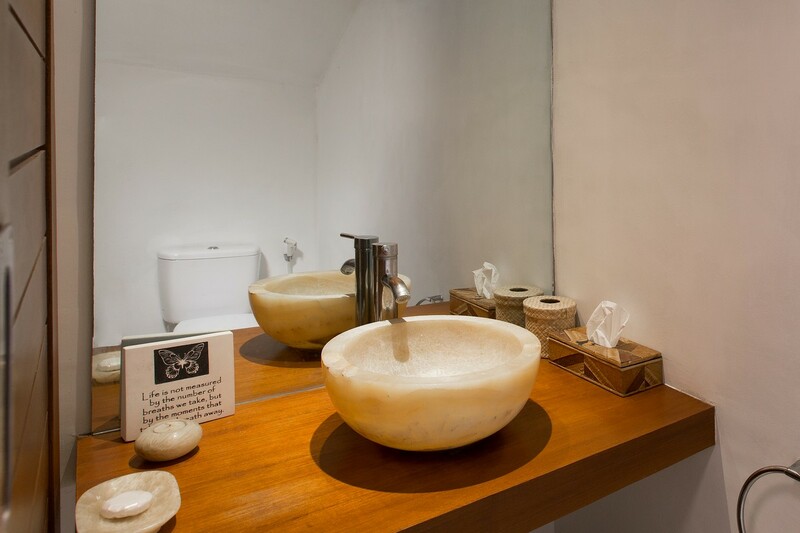 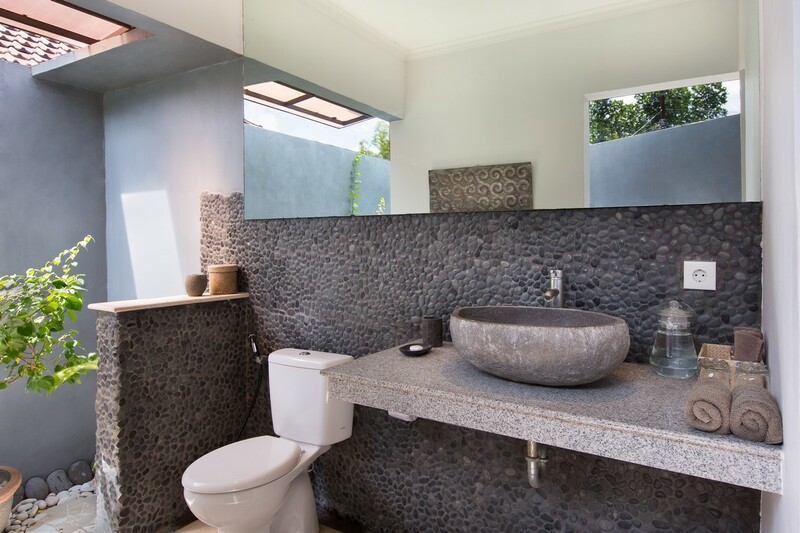 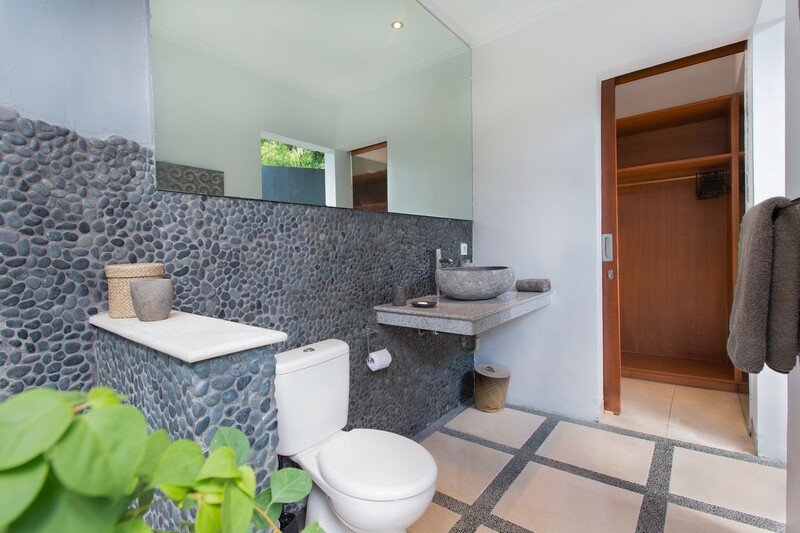 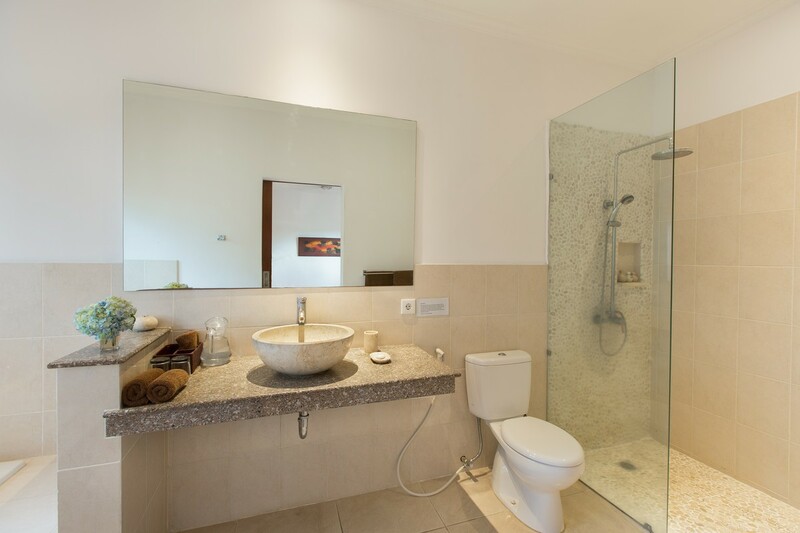 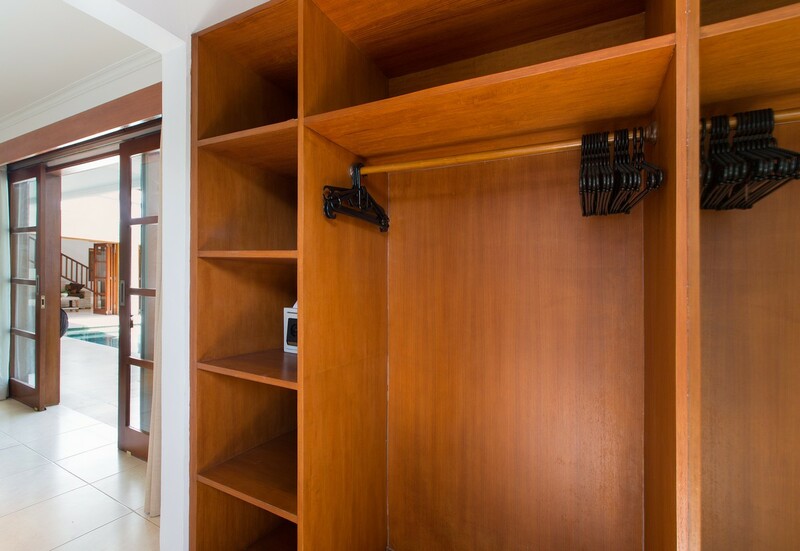 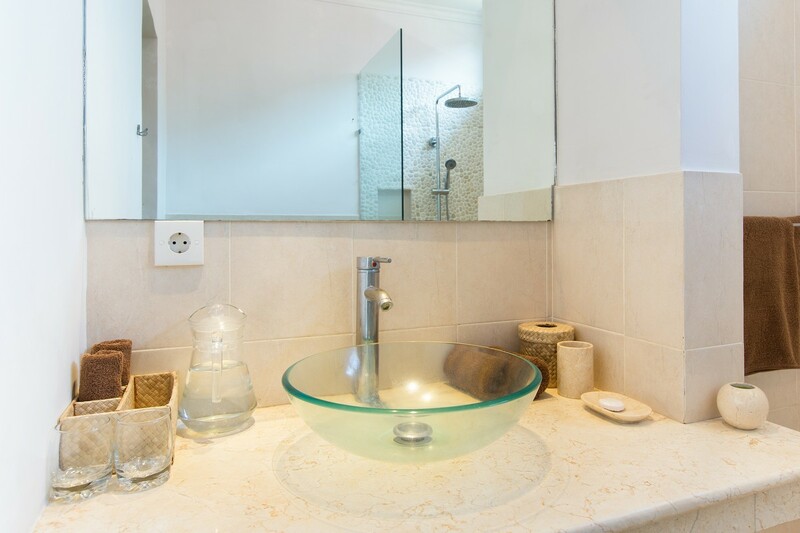 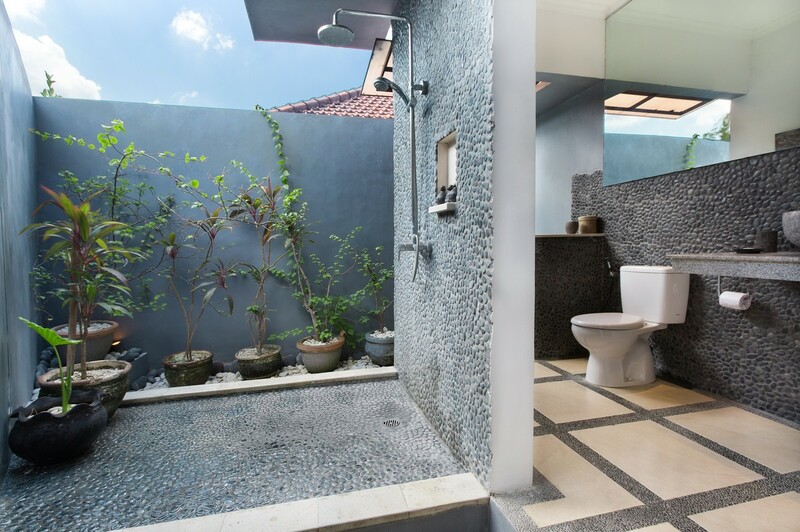 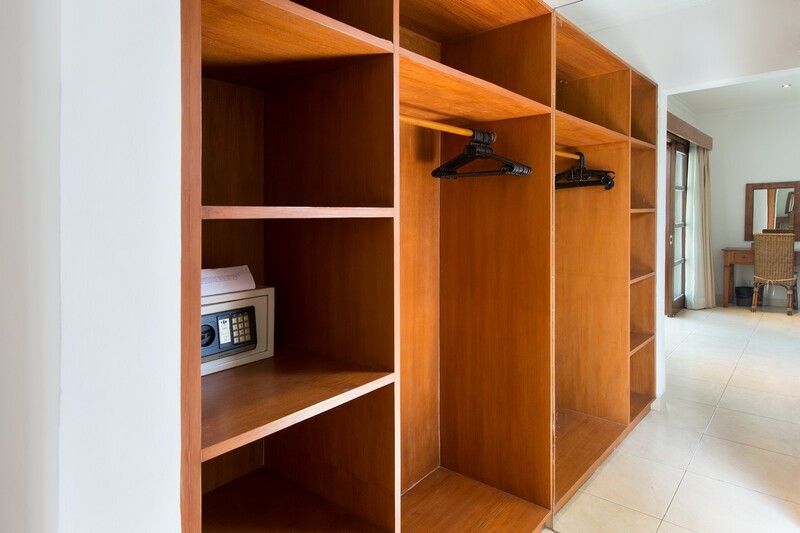 Each room is equipped with bathroom, which will allow you a real intimacy. 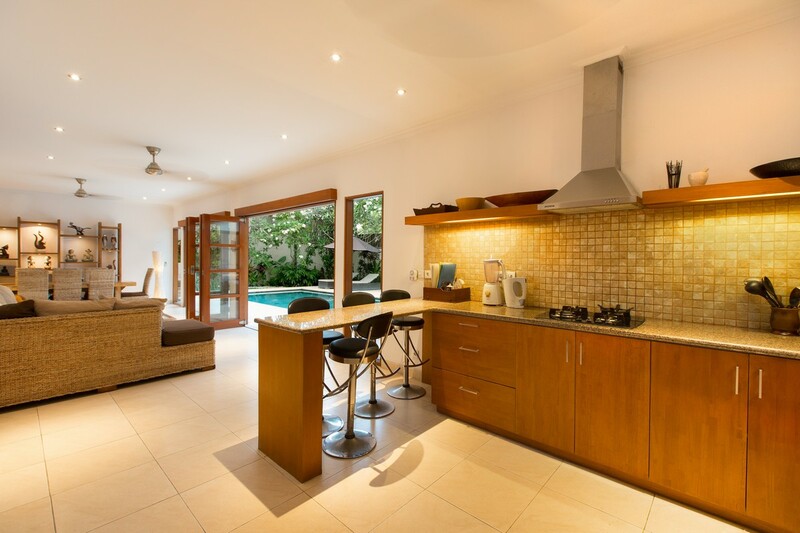 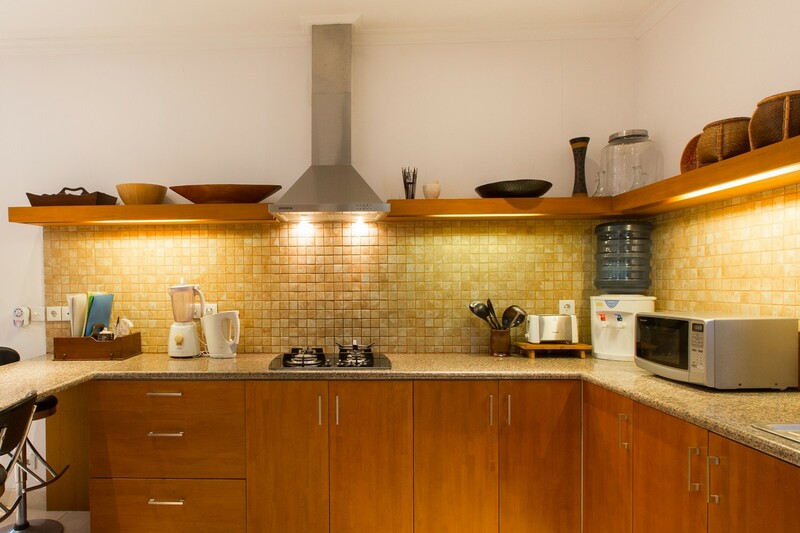 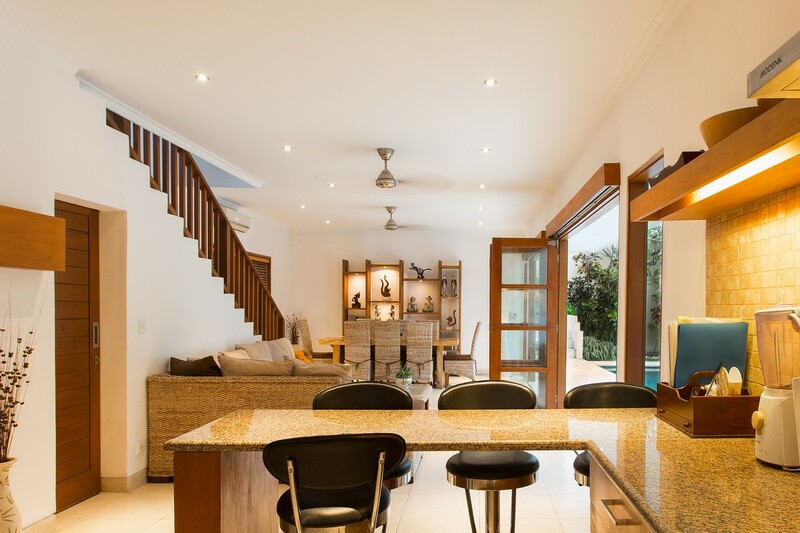 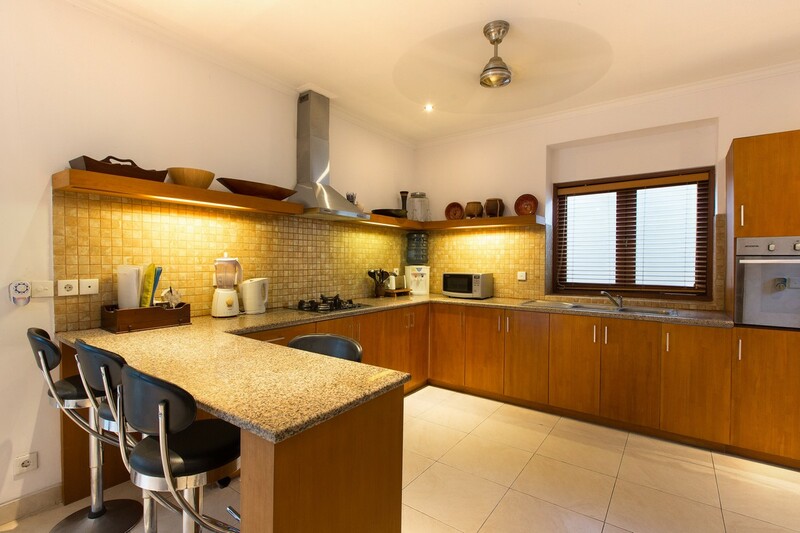 You find two rooms in the first floor, as well as a kitchen full equipped and open to the living room, which gives a biggest open space. 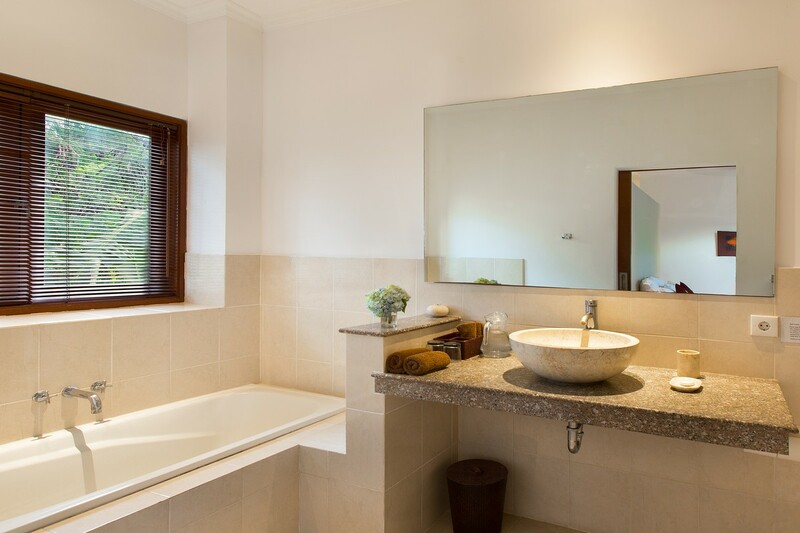 Moreover, the large windows of the salon offer nice sunlight all day. 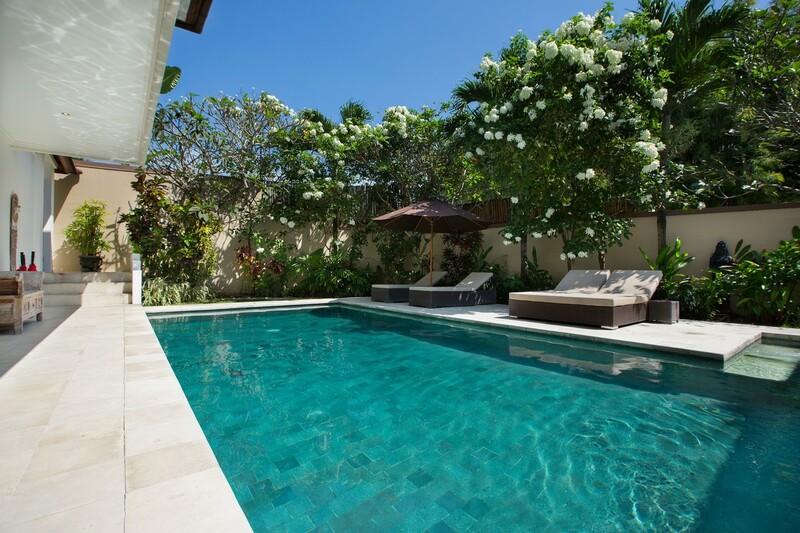 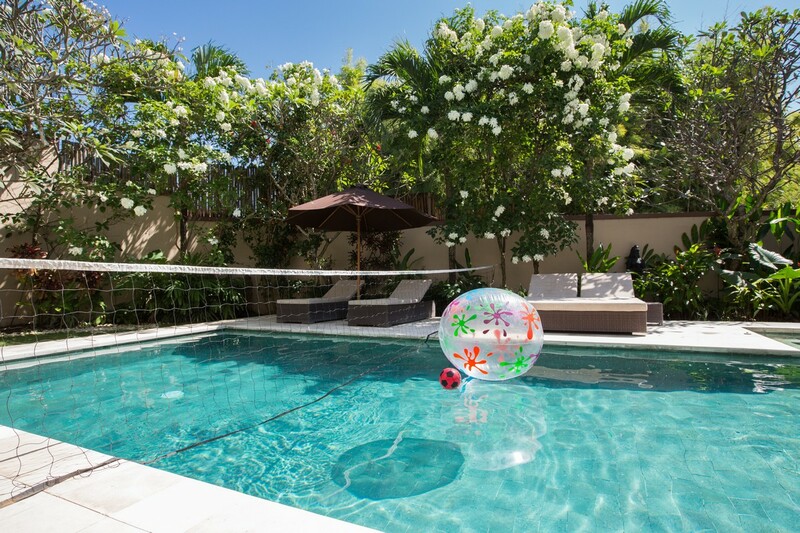 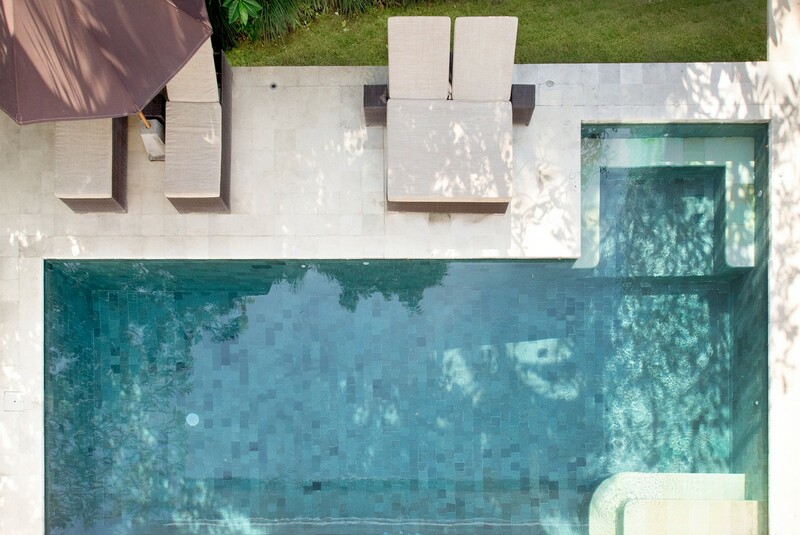 All rooms in ground level provide direct access to the pool. 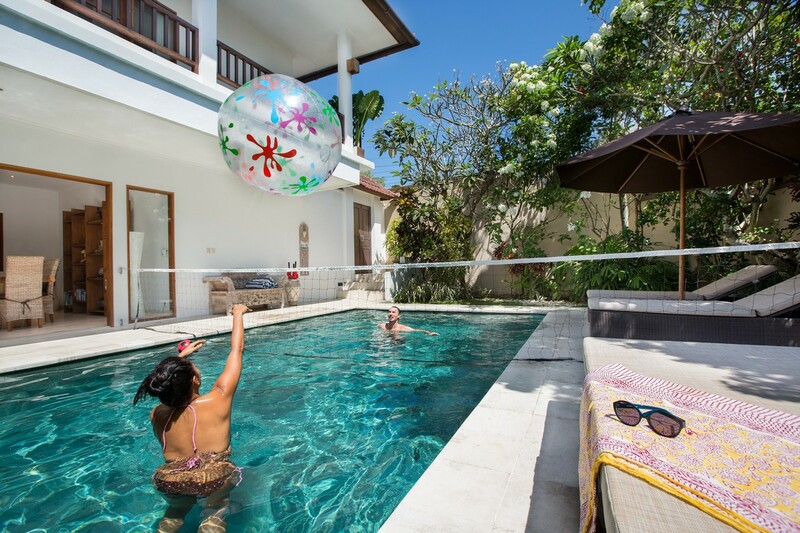 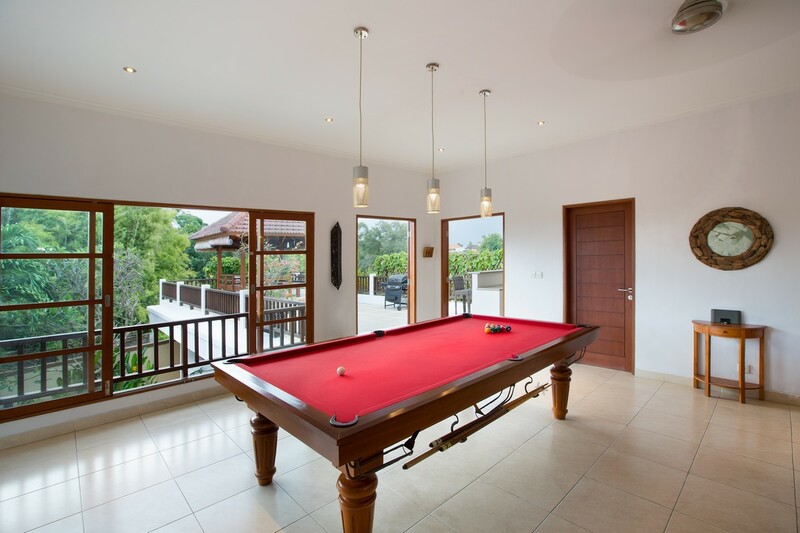 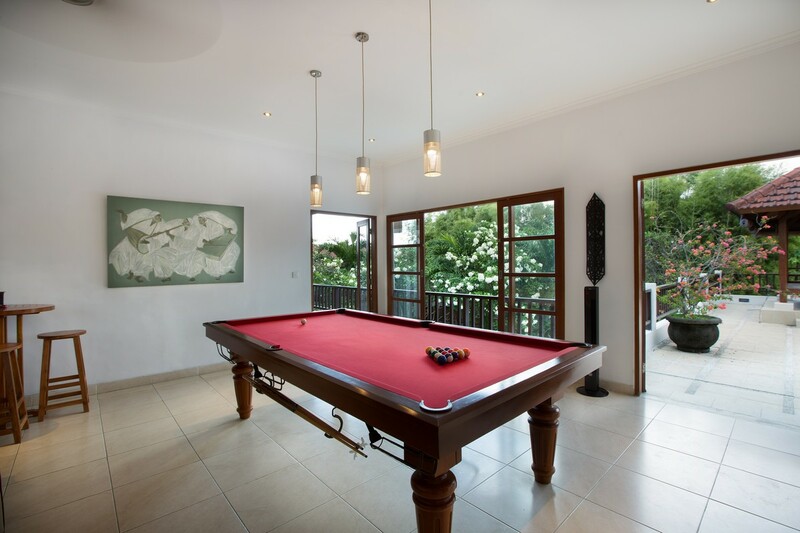 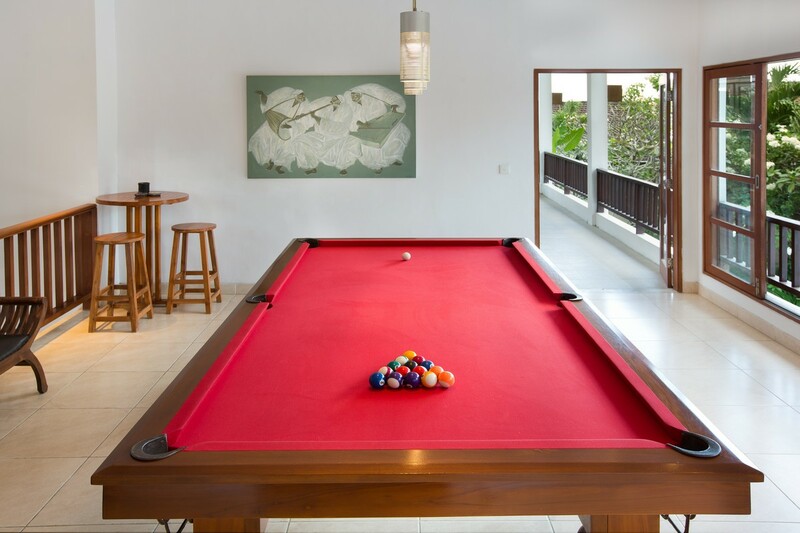 On the second floor there is a game room with pool table, and of the last room which offers you a beautiful view on the pool and garden. 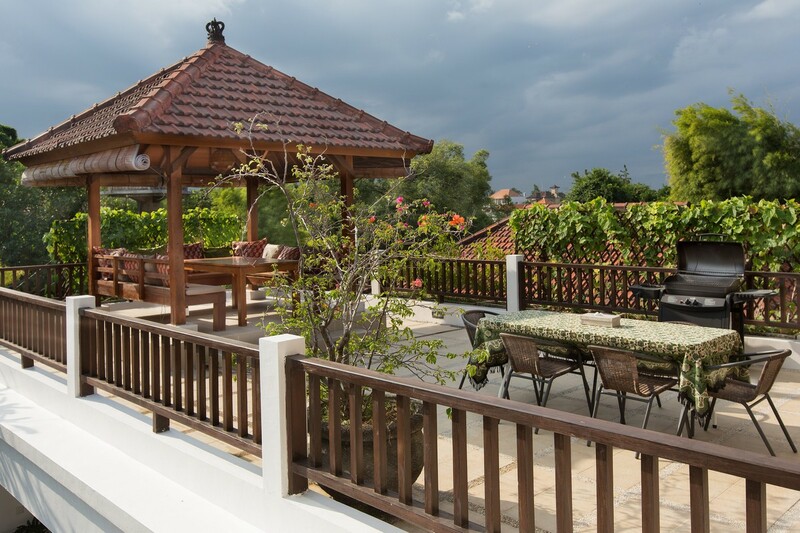 Last but not least, the second floor has a very large terrace, it is perfect to gathering guest. 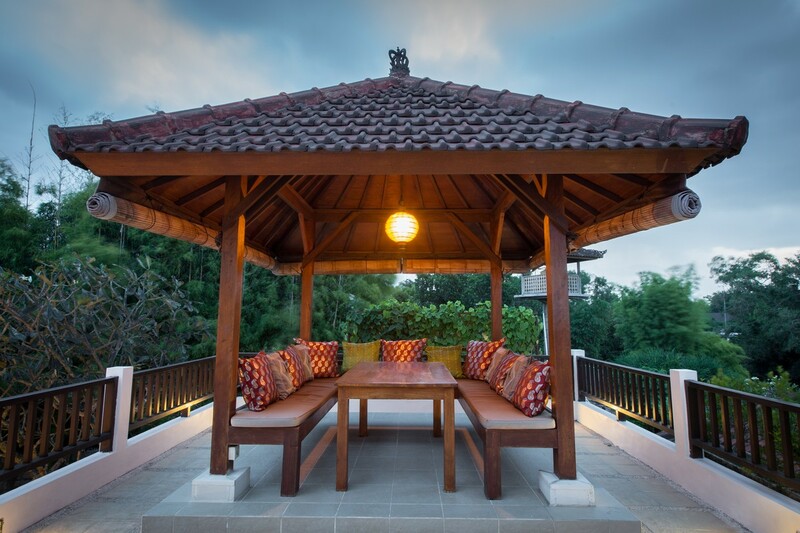 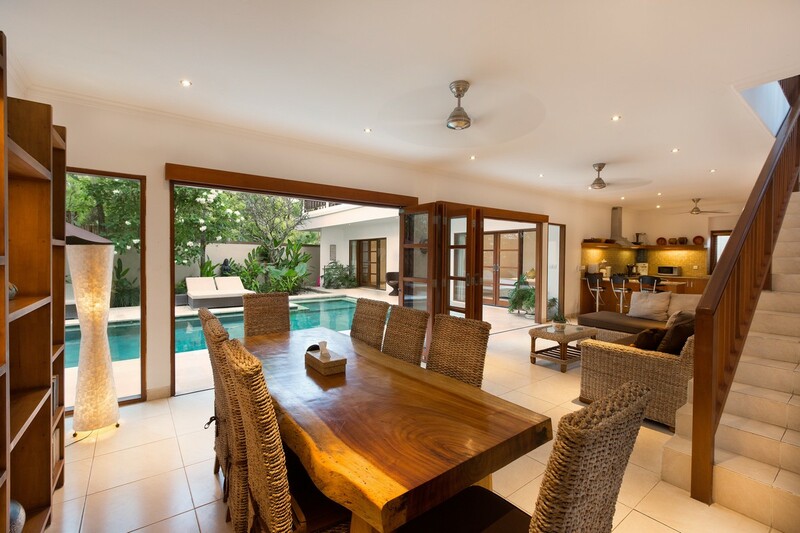 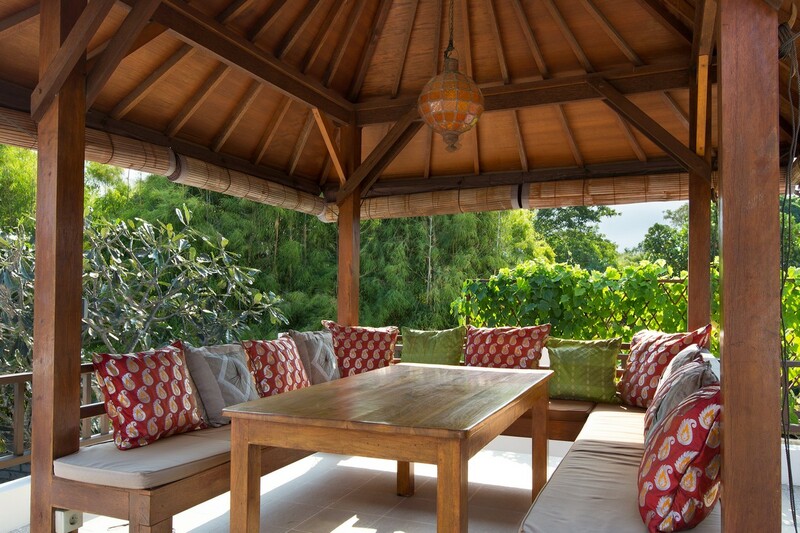 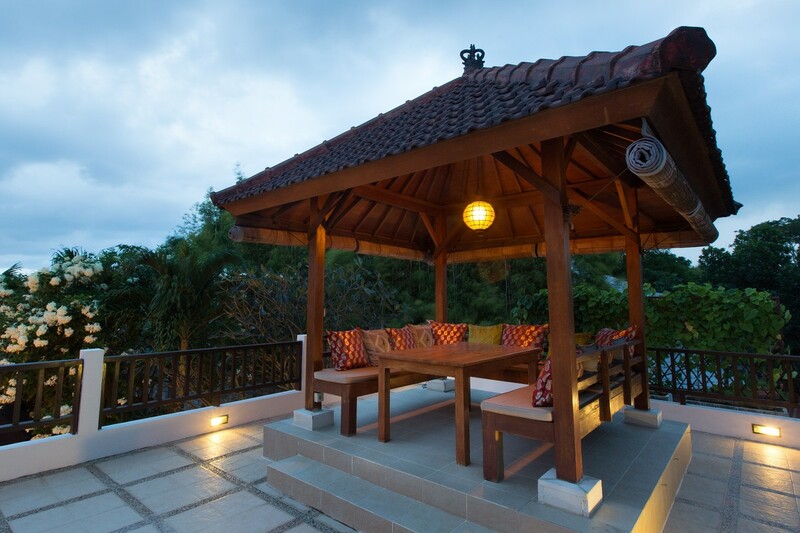 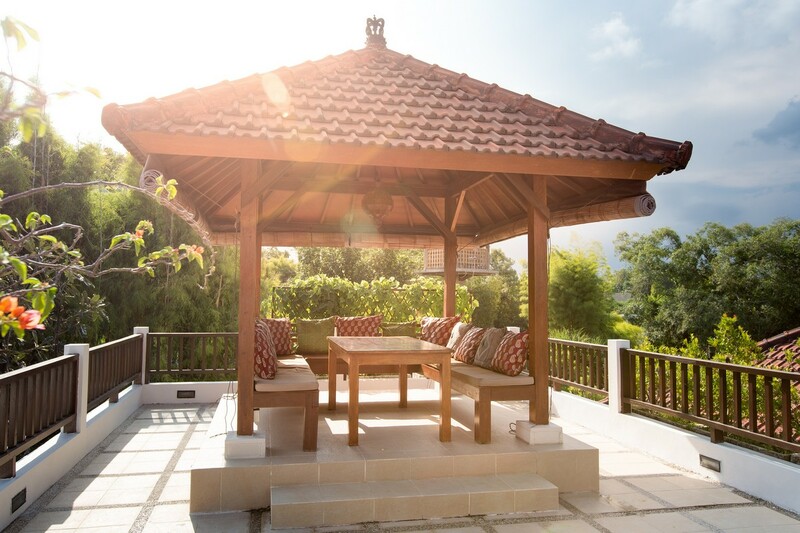 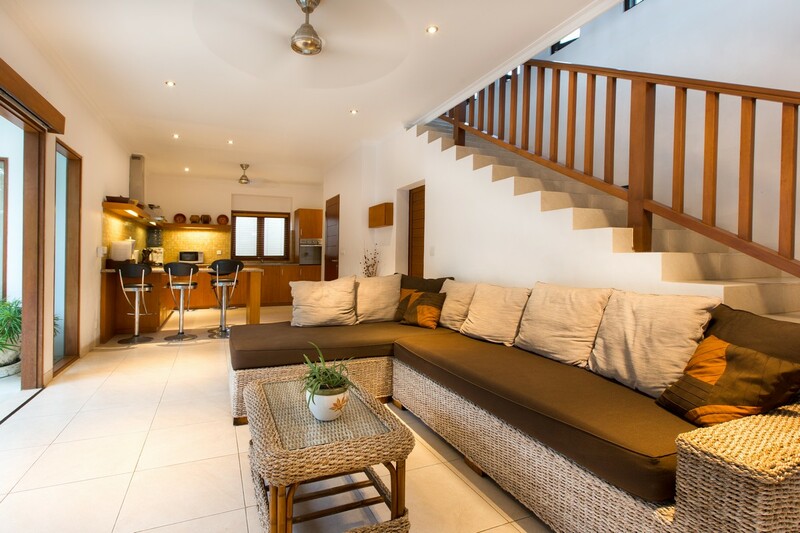 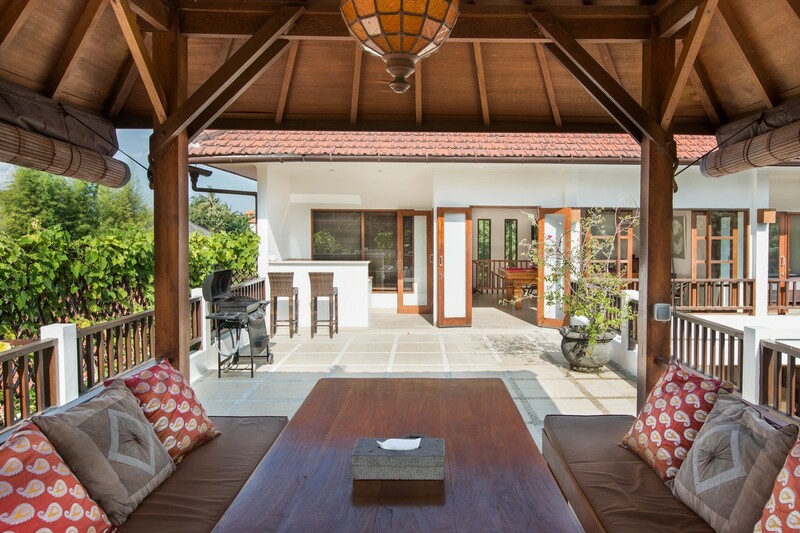 On the end of terrace, you have a typical Balinese shelter with a big table and a BBQ. 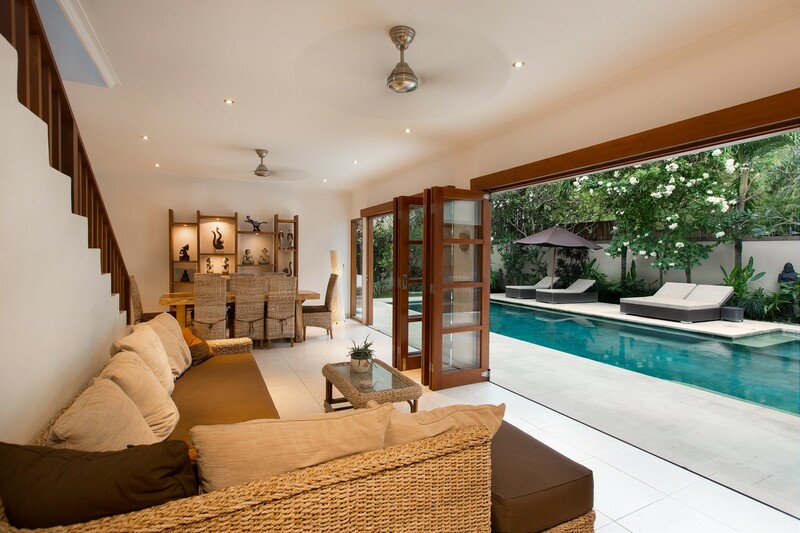 All is perfectly suitable for all group or family member. 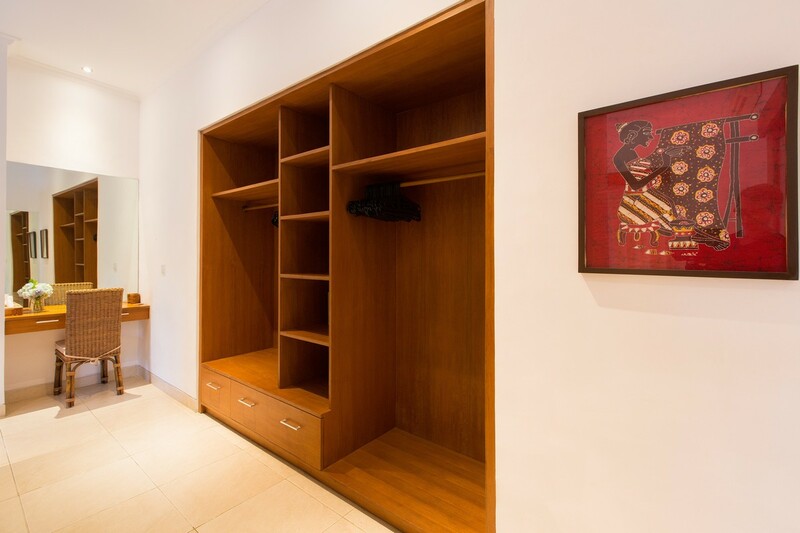 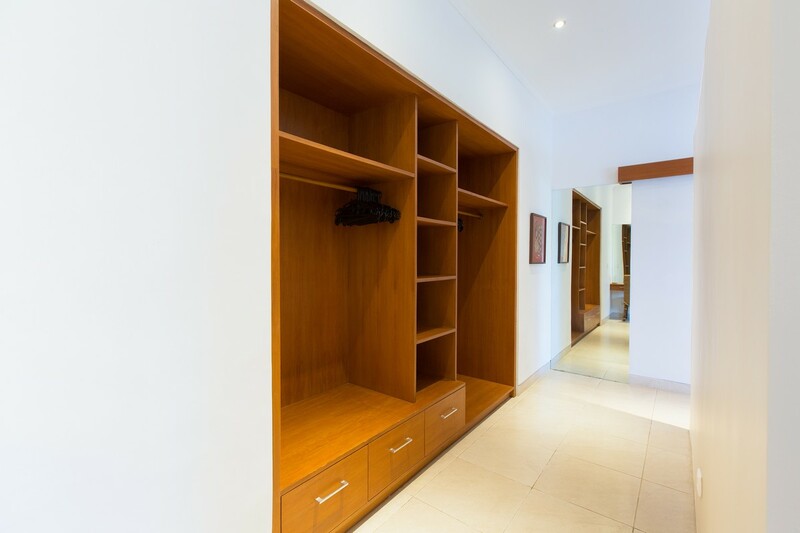 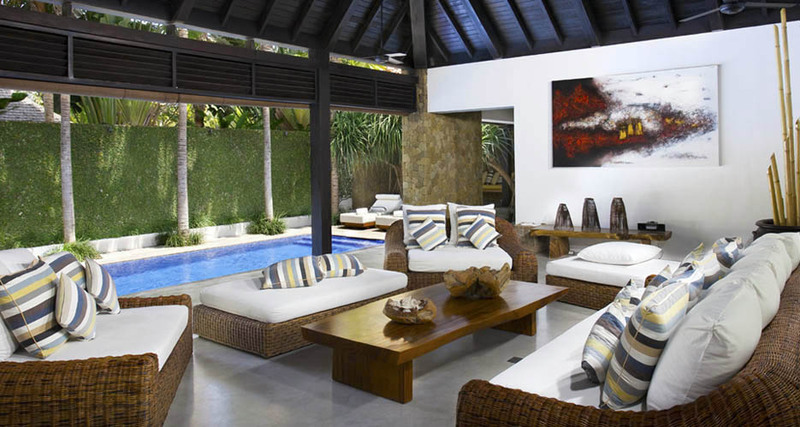 This modern villa knew keep his charm with the furniture in wood and thanks to a refined decoration. 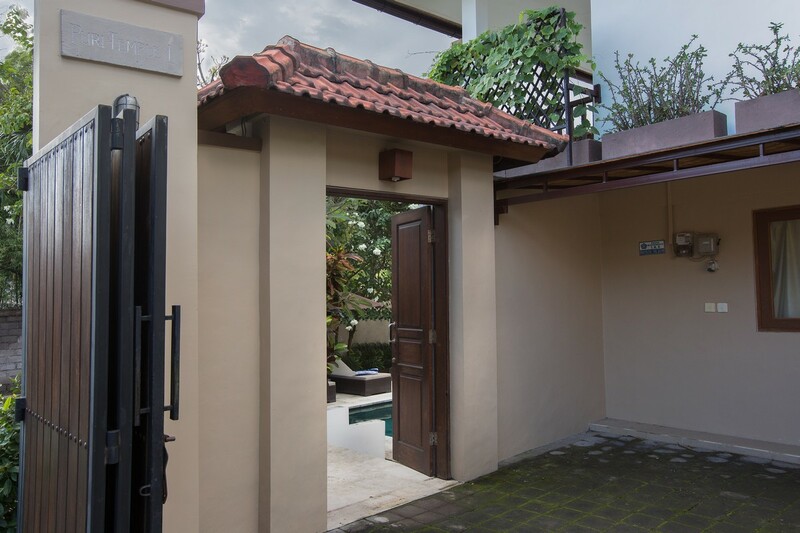 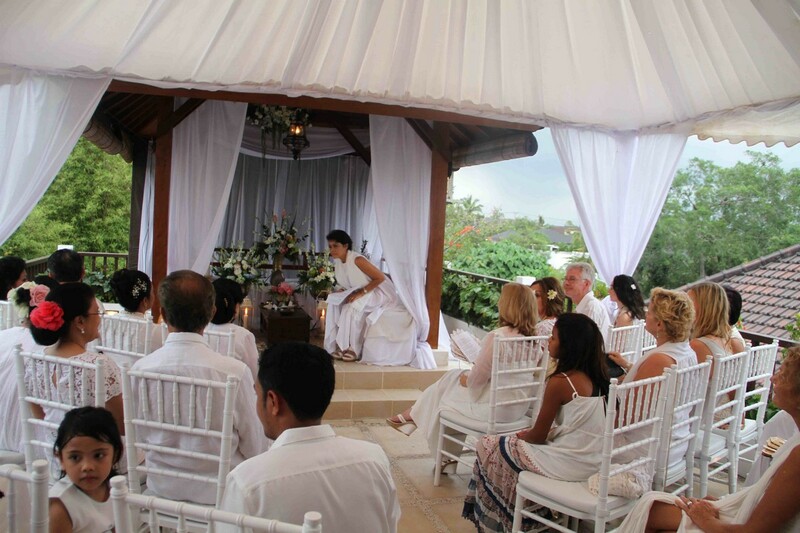 We will be happy to welcome you in your villa Puri temple.